"Shared values, strong business ethics, and a desire to always do better are factors that bind us together"
Banque BEMO has demonstrated its commitment to the highest ethical standards ever since its inception. The Bank has fostered transparency and disclosure in all material matters related to its financial situation, performance, ownership and governance. The Bank’s main concern remains, however, to meet its shareholders’ expectations, protect the interests of its depositors, and continuously earn the trust of all its stakeholders, through guaranteeing the successful achievement of its long term strategy and objectives. Consequently, Banque BEMO recognizes the importance of adopting a sound corporate governance structure, being a fundamental part of its culture and business practices. 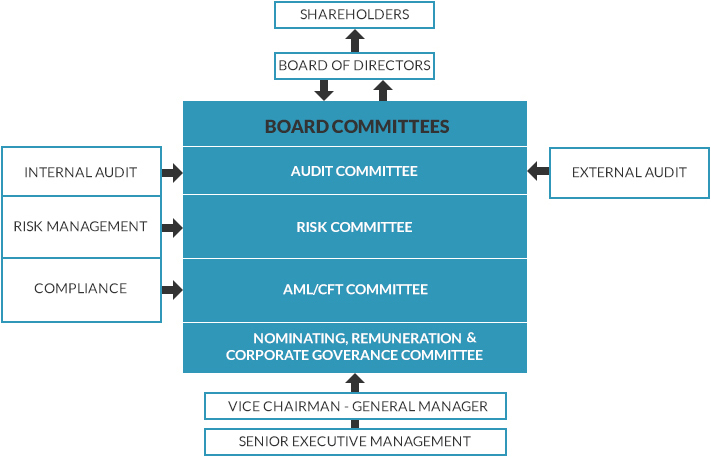 The Board of Directors, in turn, accentuates good governance significance in supporting the Bank’s credibility and corporate reputation, thus, protecting shareholders’ rights, providing further assurance to investors, strengthening customers’ trust in its corresponding activities, and improving the overall competitive positioning Learn more . Furthermore, Banque BEMO signed, on April 25, 2017, the Investors for Governance and Integrity (IGI) Declaration during a signature ceremony organized by Capital Concept, where Banque BEMO was specifically mentioned for its swift responsiveness to carry out all needed disclosure improvements that led to an enhancement in its grading to B+ rating. Within the scope of committing itself to appropriately serving the Bank’s clients, shareholders, employees and all other stakeholders through preserving its high standards of governance, the Board of Directors at Banque BEMO, circumspectly, established the Corporate Governance Guidelines pursuant to the prevailing local and international regulatory terms and requirements. The Management, in this manner, can pursue its activities in line with the Board’s strategy that aims mainly at enhancing the Bank’s share value for the benefit of all its stakeholders while upholding the Bank’s vision, mission, and values. The Board is always cautious, at the same time, to keep up with the continuous developments and changes as far as the regulatory requirements and practices are concerned to better support achieving the Bank’s objectives within the span of the Corporate Governance Guidelines. Consequently, the Bank regularly reviews its Corporate Governance Manual, which includes these guidelines and, thus, amends whenever deemed necessary. 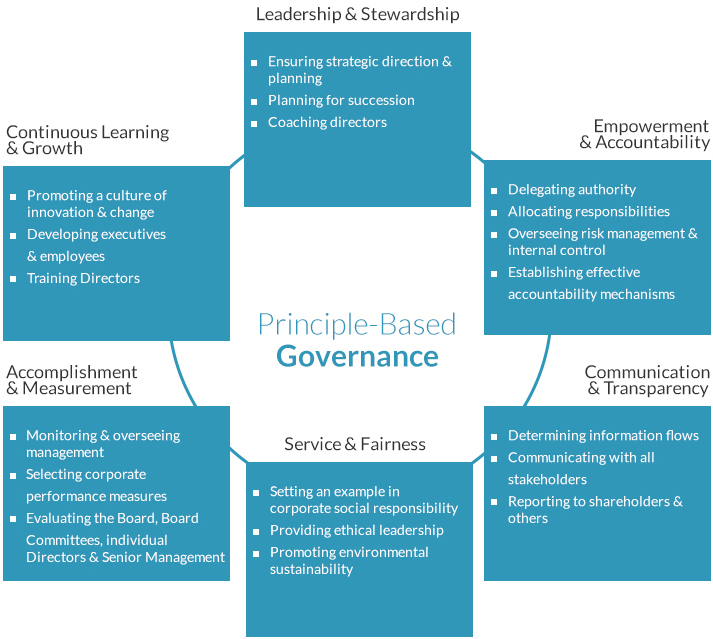 The Bank has, on the other hand, set the Governance Model that helps facilitate the overall work flow, and accordingly, efficiently meet future challenges. The Anti Bribery and Corruption Policy. Deontology and Ethics are the major foundations of Banque BEMO's principles and guidelines. Those principles have become synonymous with Banque BEMO's name since all business is conducted in an honest, legal, and ethical manner in order to provide state-of-the-art services to our stakeholders, preserve their interests and the Bank's, and to achieve our vision and quest for excellence. Moral obligations, duties, and right actions are the main pillars for Banque BEMO's operating environment, and the Bank's Code of Deontology is the driving force for all employees who follow high standards of conduct at all times. After an extensive in-depth review, the Bank's "Code of Deontology and Professional Ethics" was updated in June 2017 and published on the Bank internal communication site accessible to all staff members. Relations between the Bank and its clients are based on mutual trust, respect and transparency by putting in place "Business Ethics & Clients Protection" principles. The Bank will offer all customers the same level and quality of service without any type or form of discrimination of whatever nature. The Bank provides equal treatment to all employees offers them equal career development opportunities, takes necessary actions to ensure continuous upgrade of employees knowledge and skills, and makes every reasonable effort to guarantee a healthy and safe working environment,. The Bank is committed to deal fairly with its customers, suppliers, competitors and employees. Honesty and Transparency will be applied at all times to enforce shareholders', customers', employees' and community's faith in the Bank. The Bank commits to maintain high level of corporate governance and ethical standards while conducting its business to create exceptional value for its shareholders and aims to maximize long-term shareholder value while providing them with prudent and professional risk management. Banque BEMO strives at living the corporate social responsibility as an integral part of its daily business, assuming responsibility towards the community where we operate, and will always seek to promote conditions of healthy and constructive competition and enhance the reputation and credibility of the banking sector as a whole; it will positively contribute to developing the community and is an environment-friendly institution that will always help preserve a sane surrounding. Banque BEMO's employees exhibit the highest standard of professionalism and integrity at all times, show loyalty and commitment to the institution, act in the best interest of the Bank by reporting any violation to its deontology principles, and strive to offer an outstanding quality service to all stakeholders. All employees respect and abide by the Banking Secrecy code, comply with all governmental local and international laws and regulations, avoiding any potential reputational or any other risk, while observing a strict duty of confidentiality and privacy towards both the Bank and its clients.